Three shots. Three goals. 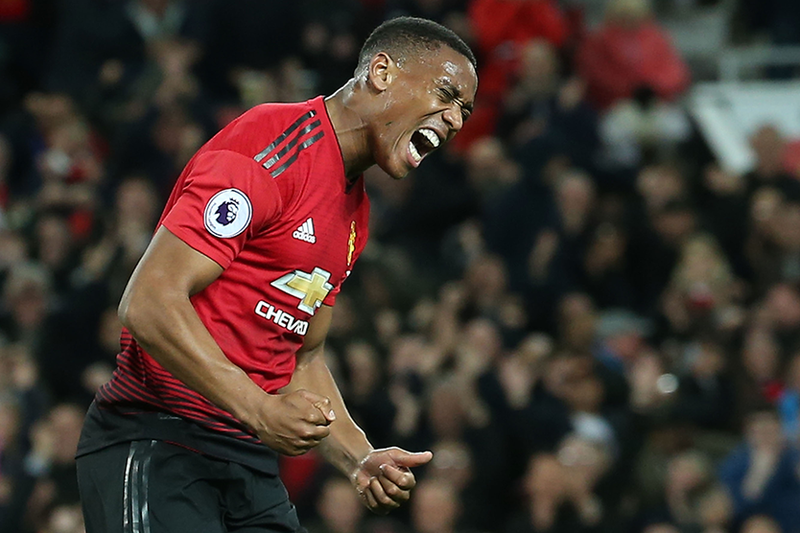 Anthony Martial may not have been a regular in Manchester United's starting XI this season but the Frenchman has stated his case with outstanding efficiency. On the back of a clinical brace at Chelsea, Martial, with his 100 per cent conversion rate, is United's most dangerous goal threat ahead of their meeting with Everton on Sunday. Aside from having a lethal right foot, the 22-year-old's experience as a centre-forward helps him perform the role of wide attacker better than most. Always inclined to drift into the penalty area in search of goals, Martial is a genuine 'second striker' who doubles up as a winger. His pace and directness on the ball has the effect of forcing opposition defenders to retreat. And when play is building on the other side of the pitch, you will almost always see Martial lurking somewhere in close proximity to the goal. These factors help the France international to touch the ball inside the penalty area more often per 90 minutes than any of his United team-mates, including Romelu Lukaku. His challenge now is to be more selfish inside the danger zone. With so many involvements on the ball close to goal, Martial should have fired off far more than three shots in 351 minutes of Premier League action. Martial's on-pitch relationship with Paul Pogba is a healthy one. A stunning one-two combination, facilitated by a wonderful Pogba back heel, helped create a precious equaliser in the 3-2 win against Newcastle United. And Martial's breakaway goal in the UEFA Champions League clash at Young Boys also owed much to a fine run and pass from Pogba. In general play Pogba is also always looking to provide quality service for his fellow Frenchman. He has chosen to pick him out with more passes than anyone else during his last two starts. If they are both selected to play against Everton, those regular link-ups down that side of the pitch will provide a stern examination for visiting right-back Seamus Coleman. If Martial is flooded with service, the Irishman will need strong support from winger Theo Walcott in front of him, as well as from ex-United defender Michael Keane on his inside. 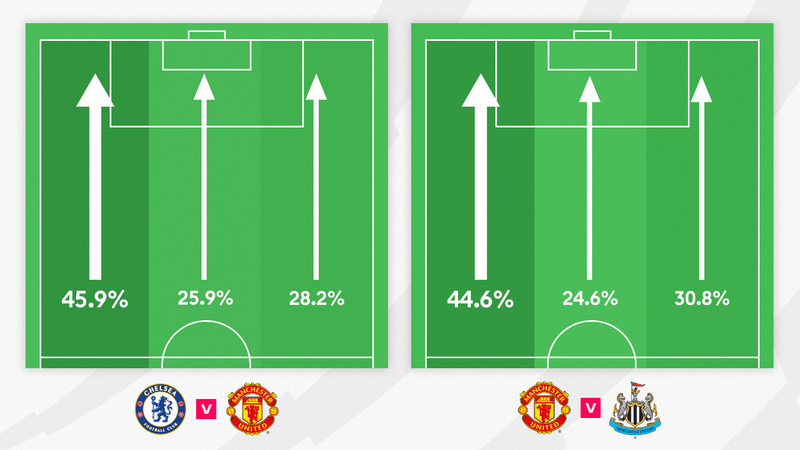 Overlaps by the in-form Luke Shaw will be another problem to think about too. A pattern has certainly developed over the last two matches that supports the notion that Mourinho's men are deliberately raiding down the left. With questions hanging over Lukaku's form and fitness right now, do not be surprised if Martial is asked to return to the centre-forward position in the coming weeks. His mobility, pace and finishing make him the best bet to fill in for the Belgian should United's head coach decide he needs a rest. Martial is playing with enough confidence to handle the responsibility.